It's official. Mail works. Research proves it gets opened, read, kept, even pinned to the wall. "But does it make money Jonathan?" you ask. "If someone opens a mailer, will they also open their wallet or purse?" Our research shows that mail is highly effective at delivering ROI. And that doesn't just mean sales and direct response. 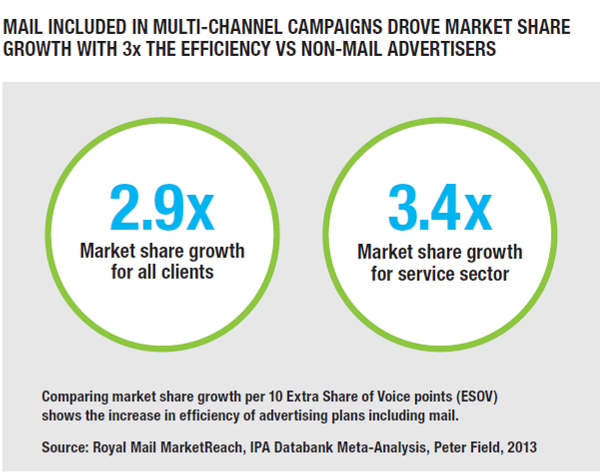 Mail also delivers on a number of other metrics, including incremental reach, efficient growth of market share, brand switching and cost per new customer acquisition. In fact, we discovered that new customers responded much better when mail was in the mix. This led us to another line of enquiry. 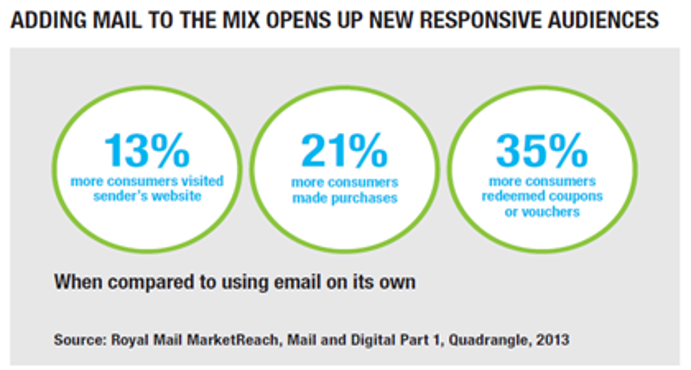 What happens when consumers receive mail and email, compared to just email? Could a two-pronged attack be twice as effective? The results suggest it is. Of the consumers we surveyed, 13% more made purchases and 35% more people redeemed coupons or vouchers. When you think about it, mail and email have different strengths, so not surprisingly they compliment each other very effectively. So, if you're looking to deliver an improvement to your bottom line, look at mail. To find out how mail can help drive your business and improve your campaign's effectiveness, download The Private Life of Mail here.